The Baltic Freight Index is a combination of three sub-indices which seek to measure different sizes of merchant ships or dry bulk carriers, namely. b) Panamax: these are second in number and have a DWT of 60,000 to 80,000. They are used to transport coal, grains, sugar, cement etc. c) Supramax: these are the smallest of all the ships with a capacity below 59,999 DWT. These have special loading and unloading equipment. For decades the Baltic Dry Index (BDI) has been seen as a proxy of global supply and demand for staple commodities around the world. Loose raw materials like coal, steel, grain and minerals need huge ships to carry them across the world’s oceans from supplier to where the demand is. Baltic Dry Index (BDI) has become an important economic indicator, a quick and easy way of taking estimating the intrinsic nature of the global economy by measuring the cost of dry bulk cargo ships. However naysayers at times question its relevance. This is largely because as global trade increases cargo ships are getting much bigger. They carry far more stuff but take longer to build, creating a lag between shipping demand and supply. This entails a shortage of available cargo ships when demand for commodities rallies, forcing shipping prices higher and faster than the underlying trend. Shifting or relocating a home, office, warehouse or plant has always been a challenging and daunting task. What with un-organised, unskilled and unreliable players wooing prospective shippers with collar shaped advertisements staring out of classified, stickers in the housing society stairwell, compound walls, trains, buses etc. Ultimately one would become gullible and call out to these personnel to take care of their shifting. What makes matters worse is competition offering lower rates and then leaving services tardy since they are unable to manage the task with the finalized quotes. Most of these players sub-contract the various parts of the job to unskilled workforce who use non compliant trucks with poor lashing to shift, thereby bringing in that much more element of risk in the assignment. In recent times newer players understanding these challenges have launched solutions driven by technology, standard operating procedures and professional checks to ensure high quality in shifting. Introduction of Technology has simplified shifting by enabling online booking of truck which could be done omni-channel either via a desktop, mobile APP or a Call to a unique number. Customer can key in details, upload details using their phone cameras to get the booking process completed. Online platforms is a marketplace having aggregation of transporters and movers on board who are verified and validated by the platform. This enables clients to get a assortment of Freight quotes akin to an online RFQ process and helps them get the best rates. This facilitates Transparency in pricing . Trucks are enabled either with GPS-IOT and mobile GPS based tracking enabling the client to always be on top of the transportation independently. He is also alerted periodically via a SMS on the status of the load. Safety of the belongings or articles is of paramount importance. Therefore these items have to be packed with utmost care and loaded and unloaded. This needs expert help and standardization. Clients need to have a proper discussion with the selected mover and packer to set expectation and pricing thereof. Special requirements on packing, loading and unloading due to the nature of articles, state formalities etc will need specialized knowhow. These requirements are easily managed by versatile platforms who are equipped to handle these requirements. Payments can be made using the payment gateways on the platform or direct bank transfer which makes the overall experience very seamless. In the recent GST council meeting on 24th Dec 2018, a large number of items classified under the 28% slab was rationalized to the 18% slab. From 225 items in the 28% slab where it began, it is now down to 30 in that category. The Finance minister said that the levy was fully in place and the first set of rate rationalization was complete. With the current rate cuts, he broadly indicated that the country will have only slabs of ‘zero’, 5% and a standard rate (between 12-18%) with luxury and sin goods as an exception. While progressive and concerted efforts are being demonstrated by the government with the GST implementation, it is pertinent to really check what’s happening on the ground as regards to Logistics and Supply Chain. Is the dream of unified tax regime (one market one country) really being realized? In the Warehouse sector, it was expected that GST implementation will see consolidation of warehouses. It has been observed that that warehouse consolidation has been happening from sector to sector depending on the on-ground nuances or requirements. Companies and Corporates have considered ‘product availability’ and ‘customer servicing’ as the key considerations while consolidating warehouses. The implementation of E-way bill has been received positively by stakeholders in Logistics. It has helped organize, streamline and reduce paperwork due to digitization. 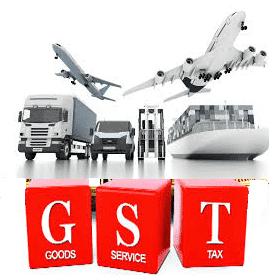 While implementation of GST and E-way bill has come about with requirements of up-skilling, compliance and penalties, however the industry while looking at short term addition in costs have reposed faith in the Long term benefits that GST implementation would bring in. 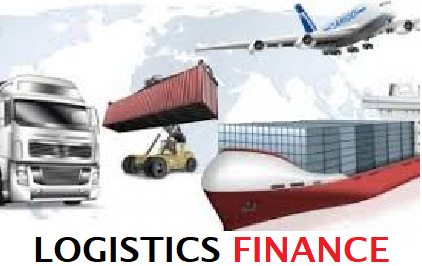 Logistics in India is a fragmented and is handled by a large number of Freight forwarders and 3 PL players. Introduction of GST has compelled these players to register themselves and avail of the benefits of Input Tax credit thereby driving formalization in the sector. The Auto sector is also wary on the requirements of larger sized trucks and trailer requirements that the change will bring about due to planned Logistic parks and warehouse consolidation. However, the vehicle sales numbers are yet to show the shift in the model preference as of now, however it’s an eventuality waiting to happen. While there is some grief due to the pending or delayed release of Tax credits, since Logistics has players deploying upfront working capital and therefore capital cycles get very sensitive if delayed. Section 13 (3) dealing with Air cargo export is a bone of contention on the application of the tax and several suggestions have been put forth to the Finance ministry to accommodate a change to make India exports more effective. 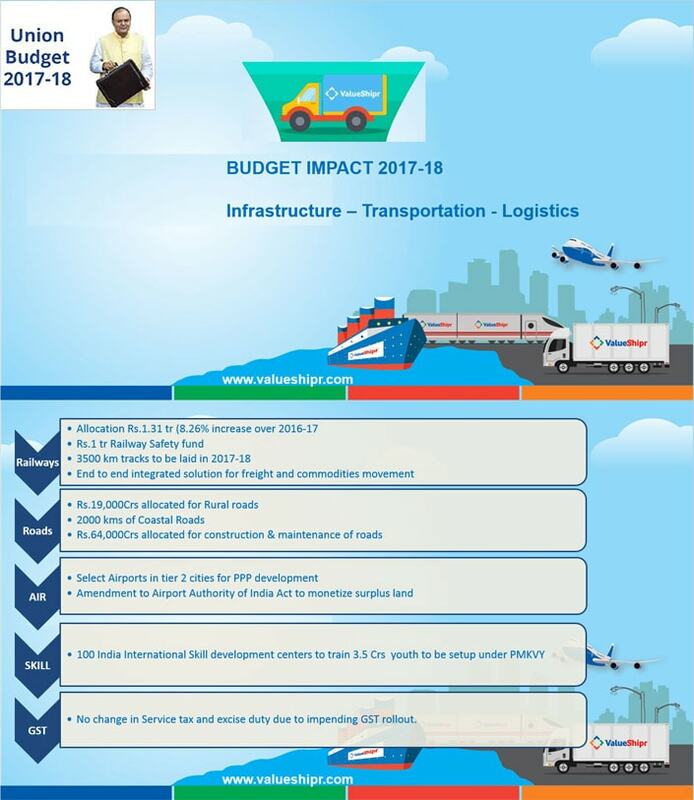 The Government in the last few months took some bold decisions to implement the GST (One nation, one market) reforms, announcing Infrastructure status for Logistics sector liberalizing FDI investments and further committing investments in the infrastructure , railways, road, ports and waterways. All these decisions will have far reaching impact on this sector and spur growth. Ambitious programmes like “ Make in India” will force rethink on the existing supply Chain network. Bharatmala is one of the biggest highway construction projects in India in history.It is the second largest highways construction project in the country since NHDP, under which almost 50,000 km or highway roads were targeted across the country. Bharatmala will look to improve connectivity particularly on economic corridors, border areas and far flung areas with an aim of quicker movement of cargo and boosting exports. It includes economic corridors of around 9,000 km, inter-corridor and feeder routes of around 6,000 km, 5,000 km roads under the National Corridors Efficiency Program, border and international connectivity roads of around 2,000 km, coastal and port connectivity roads of around 2,000 km, expressways of around 800 km and 10,000 km of NHDP roads. The total length in phase 1 comes to around 34,800 km. The Sagarmala project a critical government initiative focusses on modernising existing ports, and will develop new ones at Paradip Outer Harbor (Odhisha state), Cuddalore/Sirkazhi (Tamil Nadu state), Belikeri (Karnataka state), Enayam (Tamil Nadu state), and Vizhinjam (Kerala state). Cumulatively, these ports will manage almost 100 percent more trade volume by 2025. DP World (Dubai) signed onto a US$3 billion (Rs 195 billion) joint investment platform with India’s ‘National Investment and Infrastructure Fund’ to construct several sea as well as river ports, among other logistics projects. The Delhi-Mumbai Industrial Corridor and Development Corporation (DMICDC) has awarded companies over US$2.3 billion (Rs 150 billion) in contracts for the development of multimodal logistics hubs or parks in Maharashtra, Gujarat, and the National Capital Region (NCR). Further they are in the process of granting another US$1.5 billion (Rs 102 billion) in contract packages for construction of the same in the states of Uttar Pradesh and Haryana. The proposed hubs in Maharashtra, Gujarat, and the NCR will provide end-to-end supply chain services, such as small processing facilities (grading and packaging) and final delivery and transport services. Plans to improve regional connectivity through road, rail, and inland waterways are already ongoing. India’s 2018 budget saw the highest fiscal allocation for infrastructure spend, at about US$95 billion (Rs 6 trillion). The National Highway Authority of India has a bidding process underway for companies to invest in highways across India. Dubai based investment firms have already bid close to US$9 billion (Rs 585 billion) for nine highways. This also drives in increase in accountability for the upkeep of these roads and will reduce road travel times. Freight corridors: The country’s freight corridors, covering 15 states all over India, are set to be complete by December 2019. Currently, a train carrying cargo travels at the rate of 25 kmph; on these railway lines, trains will be able to reach speeds between 70 and 100 kmph, and will carry double the quantity of cargo. The Nhava Sheva – Indore Private Railway corridor is one such project which will reduce the time and bring huge reduction in Logistics cost. India allowed 100 percent FDI in the development and maintenance of warehousing and storage facilities. Under the Free Trade Warehousing Zone (FTWZ) Scheme, there are several designated zones in India reserved for warehouse development. Panvel near Mumbai, Khurja near New Delhi, and Sri City in Chennai, are some of the designated FTWZs. The connectivity of these zones with major railways, roads, airways, and ports is well established. Incentives such as duty free import of building materials and equipment for these zones are attracting investments to this sector. As in every sector Technology is making a paradigm shift and causing disruption within the Supply Chain and Logistics sector in India as well. 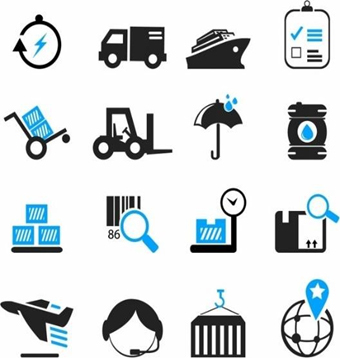 Large Logistics players in India who have been acquainted and using Order Management systems, SAP, ERP or Transportation Management Systems (TMS), Warehouse Management systems (WMS) are now experiencing newer technology frontiers like IOT (internet of things), Cloud computing, Big Data and Data Analytics, Blockchain, Machine Learning and Artificial Intelligence. These technologies are being unleashed and juxtaposed within Logistics framework deriving much needed transparency, tracking, efficiency, speed in deliveries and cost economics. Technologies like machine learning and artificial intelligence applied to data analytics can deliver dynamic routing, optimization and other efficiencies. 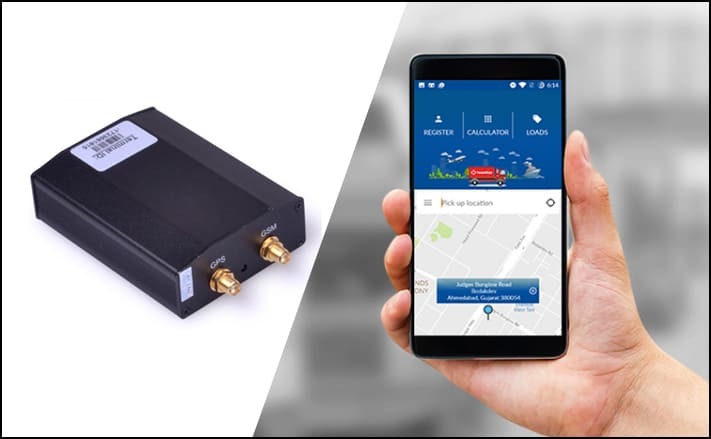 Through these technologies, companies can get real-time data and ensure optimal first mile, middlemile and last mile connectivity. Automation is helping in reshaping the workforce. Some of the logistics companies are labour intensive but they are becoming partially automated, removing obstacles in documentation, loading, unloading and adjusting routes. Data analytics in Transportation is being used to enhance reliability, route optimisation, last mile delivery optimisation, optimal vehicle utilisation and saving on fuel costs. Data Analytics in Warehousing is being tested with a combination of IOT practises to harness in operational efficiencies, productivity, inventory optimisation, demand planning and scheduling helping firms to get significant benefits. Some companies are also adopting blockchain technologies for contracting, to enhance supply chain security etc. Also some e-commerce companies have ventured into adopting robotics in their warehousing and also experimenting with drones. ValueShipr has been connecting Transporters with Cargo-owners on its multimodal Logistics Technology platform with a combination of technologies like Cloud, IOT, ML and Automation delivering value to stakeholders. The Government has made the E-way bill mandatory for all inter-state movement of goods over Rs.50,000/-, from the 1st February 2018. A consignment not having an E-way Bill along with it during transit may get detained for not complying with the laws. There is a big debate on how to prepare it & who is responsible for generating it. Currently, The Government has given permission only to consignor, consignee & transporter to log into the e-way bill portal & generate the e-way bill. The consignor , consignee & transporter needs to have a GSTIN / URP to register on the portal. Shippers like SMEs, Manufacturers, Engineering companies, FMCGs, traders have been using the ValueShipr portal to generate their E-Way bills effortlessly. Through an API connection it connects to the E-Way bill portal avoiding duplication of work. Your E-way bill is generated & you can opt to Print / Email it. Enter the invoice details OR/AND Upload your invoice on the portal. Within minutes, your E-way bill & LR will be generated & emailed to you. Click to Login & Generate your E-way bill today!! Under the new GST regime, the new frontier for Transportation and Logistics “E-way bill” is set out to be rolled out effective 1st February 2018. The e-way bill is a key element of GST, aimed at creating a common market and consolidating an array of state taxation. One e-way bill is valid for end to end movement nationally, thereby doing away with multiple state permits /e-way bill that existed earlier. With multiple stakeholders involved in the movement of goods – Consignor, Consignee, and Transporter who should be generating the E-way bill? 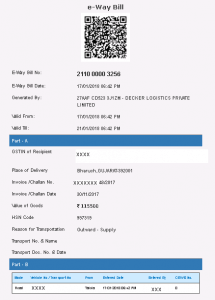 The E-way bill ‘Form EWB-01’ contains two parts. Part-A contains the details of the consignment and Part-B contains the vehicle number in which the goods are transported. Who should furnish the details in Part-A and Part-B of Form EWB-01? Goods are transported by Consignor (unregistered) in his own vehicle or hired vehicle to the Consignee who is registered Consignee The Consignee will furnish the details in PART-A and Transporter will furnish PART-B. However, at his option, an unregistered consignor can also generate E-way bill. Consignor (unregistered) hands over the goods to a transporter. This is to be supplied to a Consignee (Registered) Transporter The Consignor will furnish the details in PART-A and Transporter will furnish PART-B. However, at his option, an unregistered Consignor can also furnish the details in PART-A of EWB-01. The e-way bill mechanism has been introduced in the GST regime to plug tax evasion loopholes. To ensure ease of doing, GSTN has linked e-way bill with filing. Delay due to vehicle breakdown or stoppage by state officials. The GSTN department has clarified that consignor or transporter will be able to report delays of more than 30 minutes in an online form and file the same by reference to the invoice number. Additionally Companies / consignors have been given the option of uploading their invoices when they get their e-way bills, which would directly be filed with GSTR1. Since the advent of testing of the e-way bill from 16th January 18, ValueShipr (www.valueshipr.com) has been generating e-way bills and is ready for the change. You can call 8655012255 for your transportation needs with support on e-way bill. Early entrants into Logistics and supply chain and even people with experience in the stream often get confused or unable to co-relate the various containers and abbreviations that are commonly used in the industry. In order to provide a ready recknor on these terms, find a exhaustive list, providing clarity for users. Ocean Containers Full 20′ container (TEU FCL) Standard twenty-foot container that is loaded and unloaded under the risk and account of the shipper or consignee. Ocean Containers Full 40′ container (FEU FCL) Standard forty-foot container that is loaded and unloaded under the risk and account of the shipper or consignee. Ocean Containers Full 40’HC container (FCL) Hi-cube forty-foot container that is loaded and unloaded under the risk and account of the shipper or consignee. Ocean Containers Full 45’HC container (FCL) Hi-cube forty five-foot container that is loaded and unloaded under the risk and account of the shipper or consignee. Ocean Containers 20′ flat rack Tenty-foot open-topped and open-sided unit that fits into an existing below-deck container and is used for oversized cargo and wheeled or tracked vehicles. Ocean Containers 40′ flat rack Forty-foot open-topped and open-sided unit that fits into an existing below-deck container and is used for oversized cargo and wheeled or tracked vehicles. Ocean Containers Drum (Barrels) Cylindrical container used for shipping liquids and powders and is often certified for shipment of dangerous goods. Ocean Containers Container48 Forty eight-foot hi-cube container. Ocean Containers Container53 Fifty three-foot hi-cube container. Pallets EUR1/ISO1 pallet (80×120cm) Standard pallet with the dimensions 80 X 120 cm. Pallets EUR2/ISO2 pallet (120×100cm) Standard pallet with the dimensions 100 X 120 cm. Other Box Container with a flat base and sides typically square or rectangular and having a lid. Other Break bulk System of transporting cargo as separate pieces rather than in containers. Other Roll Container that can be carried by trucks and can be pushed to ground level by help of a hook and level arm with the container possibly sliding on roller wheels. ‘Container’ is a word synonyms with Logistics and Shipping. There are various shipping container sizes and purposes, it is important that one needs to know the key differences. Therefore selecting the optimal container type is important for safe transportation of the cargo and will also yield cost effective options. Containers are typically made of steel, with corrugated sides. Container bottoms usually consist of plywood or treated wood planks. When shipping goods that are concentrated or heavier than normal, it is important to confirm that the bottom of the container can support the weight without breaking. Sizes of containers are listed in feet. A container’s internal and door dimensions are generally standard, but at times vary by carrier. Depending on the carrier, maximum payloads or weight per container can vary. Before shipping, confirmation of the weight of the containers needs to be ascertained from the legality perspective for ground and rail transportation. Also known as a “refrigerated container,” these containers are thermal, insulated units with compressors to heat or cool the cargo. Some reefer containers even have adjustable ventilation, allowing for internal airflow. The efficiency of any storage and handling system depends on how best the load has been unitized on pallets or in containers. Pallets and containers are designed keeping in mind the specific requirements of each product / industry. 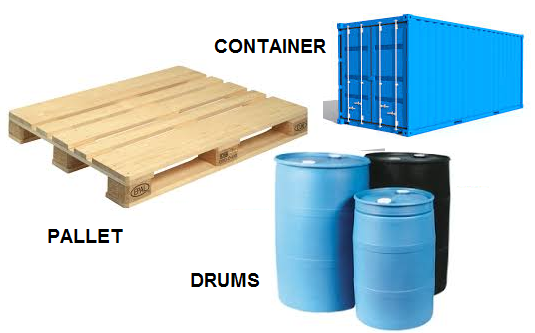 The various types of containers and pallets generally in use in the industry are Plastic containers, Crates & Bins and drums. Flat Pallets – Wooden, Steel & Plastic, Detachable Frame pallets. Collapsible Containers, Rolling boxes, Foldable boxes and Nestable Pallets. Trade routes have developed since ancient times to transport goods from places of production to places of commerce. Scarce commodities that were only available in certain locations, such as salt or spices, were the biggest driver of trade networks, but once established, these roads also facilitated cultural exchange—including the spread of religion, ideas, knowledge, and sometimes even bacteria. The Silk Road is the most famous ancient trade route, linking the major ancient civilizations of China and the Roman Empire. The Silk Route or Silk Road, a term coined by German geologist Baron Ferdinand von Richthofen as recently as the late 19th century, refers to a network of ancient trade routes connecting Asia, Europe and Africa. Even the French had a romantic version of this route name La route de la soie. There are other routes that meet the Silk route along the way and towards the end there are diversions that carry the precious cargo across the Mediterranean to Granada, Spain via Alexandria, Egypt or through Instanbul to Venice or Rome. Two stops are vital along the route Samarkhand and Bhukara. At Bhukara, the route divides and goes circular, either south towards Isfayan and Aleppo or North via the Caspian sea and Russia to Kiev. Stretching across 6,500km, and used to transport Chinese silk and other precious merchandise to Europe through Central Asia from 2nd century BC. Silk was traded from China to the Roman empire, in exchange for wool, silver, and gold coming from Europe. Alongside spreading trade, the Silk Road also became a vital route for the spread of knowledge, technology, religion, and the arts, with many trading centers along the route—such as Samarkand in modern-day Uzbekistan—also becoming important centers of intellectual exchange. The Silk Road originated in Xi’an in China and travelled alongside the Great Wall of China before crossing the Pamir Mountains into Afghanistan and on to the Levant, where goods were loaded on to ships destined for Mediterranean ports. It was rare for traders to travel the full 4000 miles, and so most plied their trade on only sections of the route. As the Roman Empire crumbled in the fourth century CE, the Silk Road became unsafe and fell out of use until the 13th century, when it was revived under the Mongols. Italian explorer Marco Polo followed the Silk Road during the 13th century, becoming one of the first Europeans to visit China. But the famous route may have spread more than trade and cross-cultural links—some scientists think it was merchants traveling along the route who spread the plague bacteria which caused the Black Death. India also has a strong connection with the Silk Route and is popularly termed as the South West Silk Route, this is one of the most ancient parts of the route which connected the Yunan Province of China to Tibet and finally to India and as far as Afghanistan. A section of the South West Silk Route crossed Lhasa and entered India through Nathu La from China whereas another section of the route crossed Burma (present Myanmar) and entered India through Assam (Kamrup) further to the sea ports of Bengal and present Bangladesh. Unlike most of the other trade routes in this list, the Spice Routes were maritime routes linking the East to the West. Pepper, cloves, cinnamon, and nutmeg were all hugely sought-after commodities in Europe, but before the 15th century access to trade with the East was controlled by North African and Arab middlemen, making such spices extremely costly and rare. With the dawning of the Age of Exploration (15th to 17th centuries), as new navigation technology made sailing long distances possible, Europeans took to the seas to forge direct trading relationships with Indonesia, China, and Japan. Some have argued that it was the spice trade that fueled the development of faster boats, encouraged the discovery of new lands, and fostered new diplomatic relationships between East and West (it was partly with spices in mind that Christopher Columbus set out in 1492 and ended up finding America). The Dutch and English especially profited from the control of the spice trade in the East Indies—modern-day Indonesia, especially the area known as the Moluccas, or Spice Islands, which were the only source of nutmeg and cloves at that time. Wars were fought, lands colonized, and fortunes made on the back of the spice trade, making this trade route one of the most significant in terms of globalization. The Incense Route developed to transport frankincense and myrrh, which are only found in the southern end of the Arabian Peninsula (modern Yemen and Oman). Frankincense and myrrh are both derived from tree sap that is dried in the sun; these nuggets of sap can then be burned as incense or used as perfume, and were also popular in burial rituals to aid embalming. The camel was domesticated around 1000 BCE and this development allowed the Arabians to begin to transport their valuable incense to the Mediterranean, an important trade hub. Frankincense and myrrh became a significant commodity for the Romans, Greeks, and Egyptians—indeed it was said that the Roman emperor Nero had a whole year’s harvest of frankincense burned at the funeral of his beloved mistress. The trade flourished, and the overland route was, at its height, said to have seen 3000 tons of incense traded along its length every year. Roman historian Pliny the Elder wrote that it took 62 days to complete the route, although it is clear that at times the exact route shifted when greedy settlements pushed their luck and demanded taxes that were too high from the caravans coming through. By the first century CE, this ancient overland route was largely redundant, as improved boat design made sea routes more attractive. Amber has been traded since c.3000 BCE, with archaeological evidence revealing amber beads from the Baltic having reached as far as Egypt. An Amber Road linking the Baltic with the rest of Europe was developed by the Romans, who valued the stone as both a decorative item and for medicinal purposes. This ancient route winds precipitously for over 6000 miles, through the Hengduan Mountains—a major tea-producing area of China—through Tibet and on to India. The road also crosses numerous rivers, making it one of the most dangerous of the ancient trade routes. The main goods traveling the route were Chinese tea and Tibetan warhorses, with direct trades of tea-for-horses and vice versa being the main goal of merchants plying the route. Parts of the route were used starting c.1600 BCE, but the entire route began to be used for trade from about the seventh century CE, and large-scale trade was taking place starting in the Song dynasty (960–1279). At least one piece of research suggests that in the period 960–1127 some 20,000 Tibetan warhorses were traded along the route every year in exchange for an eye-watering 8000 tons of tea. As sea routes became more popular, the significance of the road lessened, but during World War II it once again grew in importance as the Japanese blocked many seaports, and the Tea-Horse Road became an important route for supplies traveling between inland China and India. Salt has long been a precious commodity—it’s been used to flavor and preserve food, and as an antiseptic, for example. But easily harvested salt was a scarce mineral in antiquity, and so areas rich in salt became important trading centers. Routes connecting these centers to other settlements also became commonplace. Of the many such routes that sprang up, one of the most famous was the Roman Via Salaria (Salt Route), which ran from Ostia, near Rome, across Italy to the Adriatic coast. So precious was salt that it made up a portion of a Roman soldier’s pay, and it is from this that we get the word salary (from the Latin for salt, sal) and the phrase “Not worth his salt”—the latter because a soldier’s salt pay would be docked if he did not work hard. Another important salt route across Europe was the Old Salt Road, which ran 62 miles from Lüneburg in northern Germany, which was one of the most plentiful salt sources in northern Europe, to Lübeck on the north German coast. During the Middle Ages this route became vital for providing salt for the fishing fleets that left Germany for Scandinavia, as the salt was used to preserve the precious herring catch. It would take a cart delivering salt some 20 days to traverse the Old Salt Road, and many towns along the way grew wealthy by levying taxes and duties on wagons as they passed through. The Trans-Saharan Trade Route from North Africa to West Africa was actually made up of a number of routes, providing a criss-cross of trading links across the vast expanse of desert. These trade routes first emerged in the fourth century CE, and by the 11th century caravans made up of over a thousand camels would carry goods across the Sahara. Gold, slaves, salt, and cloth were the most important commodities on this route, but many other objects also found their way into the caravans, from ostrich feathers to European goods such as guns. The trade route was instrumental in the spread of Islam from the Berbers in North Africa into West Africa, and with Islam came Arabic knowledge, education, and language. The Trans-Saharan trade route also encouraged the development of monetary systems and state-building, as local rulers saw the strategic value in bringing large swathes of land, and thus their commodities, under their control. By the 16th century, as Europeans began to see the value in African goods, the Trans-Saharan trade routes became overshadowed by the European-controlled trans-Atlantic trade, and the wealth moved from inland to coastal areas, making the perilous desert route less attractive. The Tin Route was a major Bronze Age to Iron Age trade route that provided early settlements with access to a vital ingredient for metal-making—tin. Copper must be alloyed with tin to make bronze, an advance that occurred in the Near East around 2800 BCE and created a stronger, better metal than the type used previously. This new technology put tin much in demand, and as it is not found in many places, it became an important item for trade. One such tin route flourished in the first millennium BCE from the tin mines in Cornwall in the far southwest of Britain, over the sea to France, and then down to Greece and beyond. Evidence for this route is provided by the many hillforts that sprung up along the way as trading posts. Historians believe that trade passed both ways up and down this route, as the hillforts provide evidence of exotic artifacts, including coral and gold. No written accounts survive from this period, but the archaeological record shows that technology and art traveled the route between northern Europe and the Mediterranean alongside tin—thus providing a vital link across Europe. India is well connected to some of its immediate neighbours like Nepal, Bhutan, Bangladesh by a fairly good network of Roadways. 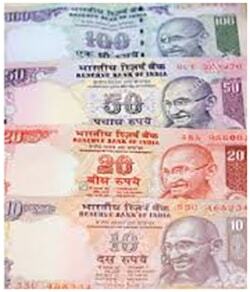 The total trade between the SAARC countries annually is upwards of $20 bn. The Indian Prime Minister has echoed the importance of a multi modal connectivity of Rail and Road transport corridor between the countries that would augment the trade and cultural aspects between the countries. India-driven proposal for a joint venture among BBIN (Bangladesh, Bhutan, India and Nepal) countries is an outcome to forge a transport corridor between these said countries. Strengthened rail and road connectivity will not only provide stimulus to economic development in the region as a whole, but also encourage social and cultural contact and promote tourism among member-states. The rail agreement will enable low-cost, energy-efficient and environmentally sustainable transportation in the region and provide trade and economic links for land-locked countries and semi-isolated regions. The road agreement will lay down the protocol for vehicular traffic movement between Saarc countries for better people-to-people connectivity and cargo movement. The two way trade between India and Bangladesh annually stood at $6.5 bn. India exports to Bangladesh are agro commodities, automobiles and energy besides others, while India imports textiles as one of the major commodities. The trade between India and Nepal is upwards of $5bn, India exports all essential commodities, energy and other infrastructural requirements to Nepal. The major commodities exported from India to Bhutan were petroleum products, machine tools, motor vehicles/cars, products of iron and steel etc. while the major imports from Bhutan were power, iron and steel, inorganic chemicals, plastic sheet and film, alcoholic beverages. The two way trade between India and Bhutan is approximately $1.5bn annually. Transporters, Shippers or Freight forwarders who wish to undertake Business activities with either Bangladesh, Bhutan or Nepal can register with ValueShipr www.valueshipr.com and use its robust platform ecosystem and expertise to move their goods and cargo to these countries. The company founded and incorporated in India, is heralding in a ingenious, innovative and transformational Logistics platform ecosystem in the “ONLINE ON DEMAND LOGISTICS” marketplace, aggregating, organizing and bringing ‘Transporter Partners’ and ‘Clients-Shippers’ to harmoniously conduct business. That un-suspecting transfer order, change of residence, shifting household, shifting of office, relocating factories or warehouses, furniture, shifting material from one location to other are incidents from everyday life and each person will have multiple experiences in their lifetime. However moments like this are often anxiety ridden and even people with experience have a harrowing time. This is predominantly due to coordination between multiple agencies, understanding of the requirements, pricing, permissions and a host of other bottlenecks. Needless to say, it’s a wish-list of those encountering this activity to have a good and reliable mover and packer. It is extremely crucial that the right choice of relocation experts or movers and packers are selected for shifting the goods which may be of personal nature, emotional or sensitive to the concerned person. The shifting could be within the city or even across towns. Typically these companies are specialists or even a cargo and goods transportation company who have undertaken these activities offering their services to the discerning consumer. However, it is important that the person shifting goods needs to follow a standard set of due diligence before giving the mandate or the order to the Cargo carrier. Listed below are some tips one could follow to have a seamlessness experience in this activity. The first and the foremost activity should be to make a list of all items, requirements during shifting, the special actions required. Discard all junk, not essential items that has been stocked for years and really do not matter in the current or for the future. 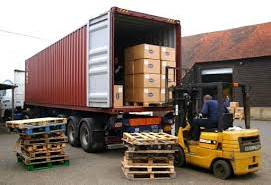 By doing this one gets to have a overall hang of the shipment or load, the specific needs and also the transit needs and also placement of the items at the new location. The logical next step is to find the right Mover and Packer or Relocation Transport Company to facilitate the load movement. The general methodology is to reach out to contacts, friends, call up some known transporters to get the solution. Alternately people would also go online to find out who are the packers and movers available online whom they could approach for a quotation and also handle all their queries. Do you know all these methods are passé! Well brace yourselves; what if you get a solution on a platform that addresses all your concerns and requirements at one place, wouldn’t you be elated? Welcome to platform technology ecosystem that helps & you reach out to multiple verified transporters involved in moving and packing and get multiple quotations (helps you compare), gives you transparent pricing and proper invoice, shipment tracking, online payment systems, value added services like warehousing, packaging, insurance etc with a Tele relationship manager to co-ordinate, all with few clicks or swipe! 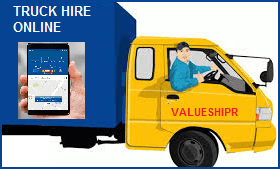 Well visit www.valueshipr.com and experience shifting goods and cargo shipment like never before. This is a small amount, but important item and can help you avoid heartburns in case of any untoward eventuality during transit. All these items are personal and have emotional and sentimental attachments to the owner. Prior enquiries and confirmation of the handling modality by the mover and packer is important to be checked and validated. It may be worthwhile and recommended for the shipper or owner to ensure their presence whilst these items are being handled. Lastly it may be worthwhile for all shippers or consumers in the process of shifting to ask all possible queries and get them answered before they sign on the dotted line! Logistics (of which transportation is a part) is the detailed and effective management of flow of goods from the point of sourcing until the point of consumption, thereby meeting the expectation of the client customer or the enterprise that actually makes use of the services. The goods transported could include physical items such as food, materials, animals, equipment, and liquids and gases, industrial material and even art. The logistics of physical items usually involves the integration of information flow, material handling, production, packaging, inventory, transportation, warehousing, and often security as well. In the conventional model, goods and cargo transporters have clients, corporate who they know out of long years of working with them or have been referred to them. To service these requirements, the cargo transporters have trucks or trailers available at their disposal and specialized drivers to transport them. The deliveries could be inter-city or intra-city. These existing model while it was personalized however had some real challenges like; non-transparency in pricing, real time shipment tracking, verified transporters, patchy documentation, poor truck utilization, lack of return loads, no reports for decisions and many more. With digitalization and the transactions being facilitated by the online revolution, online cargo transporters have actually seen a huge benefit in overcoming challenges and giving them the edge. Simplicity, scale, trust and transparency have all become the corner stones of the online cargo transporter platform. The thought of transporting or moving goods, cargo or material whether personal effects, raw material or finished goods from one location to the other is always a daunting task for many seasoned logisticians. But obviously one would turn to providers of Truck Hiring services to get the right configuration of the truck to carry the goods to the designated destination using the best possible route, with minimal wastage of time and at the best possible freight. The conventional modality adopted by a shipper or cargo owners was to have few transporters empanelled with them, with vehicles or else draw these vehicles from known brokers. However the advent of the information age and digitization has made the unthinkable possible and have re-drawn the battle-zones, diminishing constraints and boundaries like never before. The powerful combination of voice and data in tandem revolutionised the manner in which businesses were imagined and have transformed products and service deliveries across sectors. The role of the goods transporters or companies besides offering trucks and trailers with drivers was to plan the route, manage transportation, offer the best freight and offer 3PL or 4PL services like loading, packaging, warehousing besides managing the documentation. Due to the un-organised nature of the business and lack of professional management these Truck Hiring services were localized or operated across the country with their branch offices. Business distribution predominantly happened using references or with inbound leads coming into their offices directly or via brokers. With the digital age, Transporters have found a newer medium of facilitating truck hiring online, giving them unprecedented access and reach to prospective customers or shippers. Today transporters have the ability of registering their truck hiring online services, matching loads with trucks and co-ordination for transport and documentation as a part of their service. This is further augmented with real time shipment tracking which further adds to the efficiency and transparency in transactions. Transporters also stand to benefit with quality loads, faster payments, better asset utilization, and return trips for their trucks. 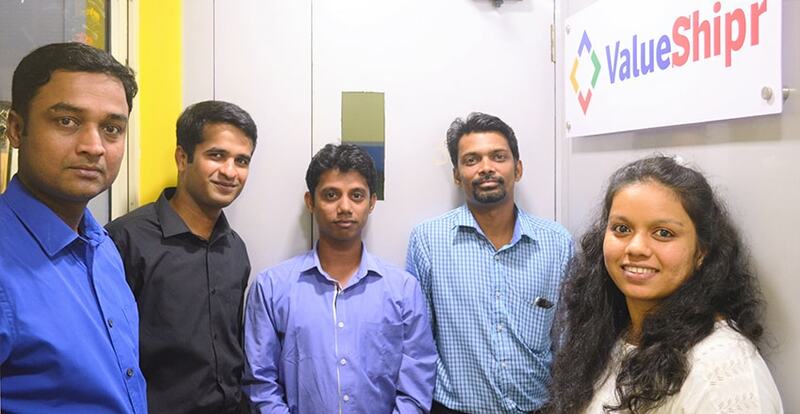 By associating with an online on-demand logistics platform like VALUESHIPR, the transporter builds Trust and Transparency besides offering quality services to shippers. Perhaps for the first time in history an integrated infrastructure, transportation and logistics budgetary plan was presented by the FM blending in roads, railways, waterways and civil aviation. Also the railway budget was made a part of the main budget. A comprehensive and symbiotic multi-modal transportation system plan and co-ordinated execution was important and augurs well, in the march to match up the growth objectives. Since infrastructure is the bedrock on which the logistics and transportation framework depends, both have to be seen in conjunction. The FM has allocated Rs 3.96 lakh crore for infrastructure development which includes an allocation of Rs 2.41 lakh crore for roads, railways and ports in the Budget 2017-18. The FM also unveiled the largest-ever rail budget of Rs 1.31 trillion, an 8.26% increase over the Rs 1.21 trillion allocated to the railways in 2016-17. Of the Rs 1.31 trillion, the highest-ever capital outlay for the Indian Railways, a gross budgetary support (GBS) of Rs 55,000 crore will be provided by the finance ministry. The finance minister also announced the creation of a Rs 100,000Cr railway safety fund for a period of 5 years, which will be given as seed capital by the finance ministry, with the balance to be raised by the railways from other sources. Indian Railways will also list its subsidiaries—IRCTC, IRFC & IRCON International on the stock exchanges to access capital. The FM also said the railways will increase its throughput by 10% by upgrading dedicated corridors which have high traffic volumes. The Railways will lay down 3,500km of tracks in 2017-18 as compared with 2,800km in 2016-17. In light of the falling freight revenues of the Indian Railways, Arun Jaitley announced that the railways will offer end-to-end transportation solutions for commodities. Indian Railways registered a 2.15% dip in December revenue earning to Rs 9,240 crore, compared with Rs 9,442.32 crore in December 2015. An integrated approach to improving safety, cleanliness and passenger comfort, and higher levels of service to passengers and freight customers through end to end services have been introduced in this budget, to nurse the railways back to health. An allocation of Rs 19,000 crore has been made towards the Pradhan Mantri Gram Sadak Yojana (PMGSY) to connect far flung rural areas. The FM said the pace of road construction was 133km per day under PMGSY in 2016-17 as compared to 73km during 2011-14. The country has a road network of 3.3 million, the second largest globally. India has been constructing highways at a rate of 20-22km per day, and has the aim of speeding up the construction rate to 41km per day. The Finance Minister Arun Jaitley said that around 2000 km of coastal roads have been identified for construction and development. This will help accelerate the development of Coastal Economic Zones, port infrastructure and also help in easing out bottlenecks of logistics movement. The FM proposed that allocation for construction and maintenance for National Highways be hiked from Rs 57,673 crores to Rs 64,000 crores (Additional 10% increase). He said that the total length of roads built from 2014-15 is about 140,000 km higher than previous 3 years. In his speech, the FM announced that select airports in tier-II cities will be taken up for operations, and development on PPP mode. He also announced a proposed amendment in the Airports Authority of India Act to monetize surplus land for the development of airports. The FM said 100 India International Skill Centres will be developed across the country. The government plans to train 3.5 crore youth under the Sankalp program and the Pt. Deen Dayal Upadhaya Program. No changes in service tax and excise duty as GST would be implemented as per schedule 1st July 2017. Do you have the exact change? Chutta paisa hai na? Rs.2000 ka change mein kaha se layega? Baad mein paisa lautaa dena. How will I foot my hospital bills? Familiar with conversations like these now, bewildered look on faces of people exiting out of ATMs with currency note of 2000 only. Well these are fairly common sightings today while the establishment grapples with the mammoth task of implementing strategies to containing and satisfying the currency requirement of this country. It has been a turbulent and a historic period with an event like this in the country. Called a barbaric move by those probably hurt financially and a bold smart game changer by the majority, which ironically is stoically bearing the brunt of the impact of having to spend quality time getting hold of small currency, to keep the daily life smooth. Two clear school of opinion emerge, one the ever voluntary naysayers and then are some treading that path from some hearsay grapevine or unconnected bad experience. People’s voicing logical support is generally construed to be in some sort of devotion to the current rock star PM and his increasing brood of unarguably talented ministers. Increasingly content after content is being put out and the war of disagreements and opinions has now proliferated every channel of communication or interactions and more so has become the favourite pastime. These shocks were bound to happen since the currency denomination involved comprised close to 80% of the currency notes in circulation. So much has been said and written about the derailment of the currency with removal of two key high value notes that the clear rift in the population seemed almost as stark as in comparison to other social issues except that this time happily it is revolving around those impacted and pretending to rally for poor people and the other majority which while suffering the impact is taking the pain in their stride with the hope that it may deliver them results in the war against the stigma of corruption. You watch biased TV anchors struggling to get some bytes out of the hordes struggling for hours to get hold of change. They force feed adjectives to the uninitiated to get their TRPs in order. But the anchors and the premier English TV channels are stumped with majority of the population refusing to give into their clamour for decrying the establishment. The Finance minister has one simple remedy to all the emotional blackmail. Please use digital and non cash forms of payment. The rural population who’s inconvenience is being drummed about as the worst hit by the opposition; surely they are the least affected as far as bigger notes are concerned, since that’s the reality at the ground level. The political parties sense that this outcry will attract some attention only in the first few days as the ATMs race to align with new dimensions and dispensations of notes. Once the masses return to their daily routine with sufficient avenues of currency, the first round will have been convincingly won and a huge nail driven into the coffin of black unaccounted money. By far this is the first time that among successive Governments, someone has tried to look beyond the safe haven country banks! The digitized banking can be addictive with its resounding convenience which the masses are yet to experience. With the language of currency reducing and cyber paths trickling with electronic cash, unethical practices are going to be all the more challenging. The naysayers who did their Houdini act for the last few decades, urgently have become conscientious keepers of the country making one worry what exactly they have got to lose! By taking a difficult and risky stance the establishment has so far done well to weather all the criticism and risk of national peace. The bankers rose to the occasion and like soldiers on the front line they have become a symbol of an emerging new country where participation in national activities is just not restricted to standing up during the National Anthem played at cinemas, but also actually feel party to a new vibrant emerging economy and cultural identity. Ahh yes, sitting snugly in the warm wallet of this Truck Driver from ABC Logistics & Cargo Company, I am Rs.20 and I feel privileged like never before since for the first time, after sharing my above thoughts, I have seen my owner cautiously spending, postponing un-necessary spends, holding all the loose change in his wallet with utmost care and sincerity. I believe my owner has also realized that regular daily life could be dealt with much lower cash requirements without panic. Well even if it is for few days, along with my fellow small notes like Rs.50 and Rs.100, we feel a new sense of respect gained from our fellow countrymen! Software Technology has been around for decades now and its ability to ‘eat’ the world- to disrupt and re-organize traditional industries has been evident and proven. Media, Banking, Telecom, Automobiles, Services, Retail, energy, Transportation, Healthcare etc, think about a sector and practically everything imaginable has been invaded or influenced by software. What is important to note now is the paradigm change- software isn’t eating the world, but its ability to ‘orchestrate’ people, resources, and processes, make intelligent decisions and enable a global connected workforce to create value is the real force driving disruption today. UBER & OLA orchestrates the physical movement of cars and travellers connected to cloud/internet with algorithms making intelligent decisions. Facebook intelligently identifies content that is most relevant to a particular user. Airbnb is a market-making APP that allows creation of an alternate market for accommodation. Naukri, MakemyTrip, BookMyShow, Paytm are the other stories that we are well aware of. You will have noticed that the nature of the software has not changed. What has changed though is the ability of the software to organize labour, resources, make intelligent decisions driven by connectivity and data giving rise to a new business model on a PLATFORM, with software mediating social and business interactions. Business Models of the future would affect ‘Demand” and ‘Supply’ by bringing all stakeholders on a platform MARKETPLACE; plug and play business model allowing connected users to orchestrate efficient interactions allowing to scale and grow rapidly. Marketplaces have been incessantly reinvented, but its core concepts have consistently proven to be a highly efficient and effective model for doing business. The platform marketplaces are scalable, defensible and vastly valued with substantial benefits for both buyers and sellers. The evolution of marketplaces is one of constant, uninterrupted progress. Even with the modernization of today’s business economy, we still see the age old marketplace’s principles and concepts being used in present-day business. Marketplaces are unique; they don’t just serve one base of customers, but they connect buyers and sellers, service providers and consumers. As the benefits of using this model continue to prove themselves, we continue to see more and more sectors adopt and utilize the marketplace approach for their businesses. In Logistics an example of this implementation can be seen with a pioneering effort from VALUESHIPR , who employs this model to provide an efficient platform for both SHIPPERS and TRANSPORT PARTNERS to connect with one another. This delivers incredible efficiency, value to the stakeholders like never before. So what makes this model so successful for let’s say, consumers? Beyond the obvious benefits correlated with convenience and having everything in one place, there are a plethora of reasons. For one, marketplaces also permit consumers to compare quotes from various providers and enjoy both greater trust and greater transparency in the form of verification, reviews and ratings, which in turn leads to superior service and more competitive pricing from suppliers/sellers. It gives the customer added product choices, as well as the ability to see aggregated options on a single platform. This allows them to see the most reasonably priced or highest quality products easily and in the process, feel more in control when making purchasing decisions. The beauty of the marketplace is that it is extremely beneficial for all parties involved. Not only does it help consumers, but also the advantages for sellers are immense. Building or prospecting a customer base can be a time-consuming process, but with marketplaces, there’s already an existing network of consumers ready to make a purchase. Especially for small business owners, who don’t have the resources to establish their own eCommerce business or website, a marketplace allows them to build a reputation and gain visibility without spending much cash. Other benefits are technology, automation, fulfilment Tracking technology, Call centre, payment systems etc makes it a very powerful proposition at lower costs. Getting control and navigating the unorganised world of Indian Logistics & Cargo shipping sector can often prove to be complex and sometimes frustrating. A successful marketplace model must consistently be a win-win model: transporters getting connected to loads and shippers getting a fair value and a trusted transporter are the key drivers. This is one of the pivotal reasons why many developed nation logistics have adopted the marketplace model and there are benefits to see for both the shippers as well as the freight forwarders. The platform provides transporters with the opportunity to maximize their productivity and asset utilization, and as a result lower costs for shippers. The marketplace approach in logistics also ensures added transparency, providing buyers and sellers with peace of mind by letting them know whom they are doing business with. Fundamentally, it allows transport suppliers that are listed on the platform to obtain superior leads, reach more small businesses and manage all of their transactions in one place. India, a $2 trillion economy now, is estimated to double by 2023-24. (NITI Aayog, CMIE). At the going rate of growth India is marching ahead to be a developed nation by 2025~30. The Median Age in India is at 29. A country with a young population and demographic dividend will propel the country to be the largest consumer market by 2025. Logistics market size in India is US$ 150 billion and forecasted to grow to US$ 300 billion by 2020. There are about 89 lakhs commercial goods vehicles; 700 million trips p.a; growing at 8.4%. Logistics contributed close to 5-6 % to GDP and the sector has been growing at a CAGR of 12-13%. Logistics grows at 1.5 to 2 times of GDP growth and the real spend on Logistics in India is to the tune of is 14.4% of GDP which is high when relatively compared to developed economies which are in the tune of 7-8%. There is a direct co-relation of economic activity in any country and the logistics and transportation infrastructure. Therefore, modernizing the transportation infrastructure along with bringing trade friendly policies becomes inherent to developmental goals. Amongst all the modes, road and rail transport are the most significant. The modal share between these two has changed over the years, from the 80% rail share in 1950-51, to the road share becoming 65% in 2011-12. Road overtook rail in the early 90’s .This shift was a consequence of the inability of the Indian Railways to provide the required capacity or respond with expected customer service, while road transport could provide door to door service. Further, during the last two decades, road infrastructure expanded rapidly on account of focused policies and investments. India has the second largest road network in the world with a road length of 4,320,000 kilometres. Measured in billion tonne kilometres, rail and road account for 86% of the freight transport while the other modes account for 14%. Though extensive, but the road network is still inadequate and suffers from a number of deficiencies like inability to handle high traffic density, tolls, lack of travel infrastructure, poor conditions of roads etc. The average productivity of a truck in India is 280kms/day in comparison to about 800kms/day in the developed countries. A concerted focus on the outages could easily enhance this output to 350-400 km just by reducing congestion. Roads in India account for more than 51% of the total freight traffic consisting of 3.2 million heavy duty trucks and 2.6 million light duties. The road freight movement is expected to increase at a Compounded Annual Growth rate CAGR of 15 percent. Driven by growth in Indian FMCG, ecommerce, retail and pharmaceutical sectors, which have large freight transport requirements across the country and are generally done by road transportation. To handle this ever growing pressure, massive highway development projects have been undertaken under the National Highways Development Project (NHDP) of the National Highways Authority of India (NHAI) over the last decade. The first phase of the project saw the widening and completion of the Golden Quadrilateral (GQ) – a highway network connecting four major metros, Kolkata, Delhi, Mumbai and Chennai as it passes through major industrial, agricultural and cultural centres of India. Other metropolises also connected by the network are Ahmadabad, Bengaluru, Bhubaneswar, Jaipur, Kanpur, Pune, Surat, Nellore, Guntur, Vijayawada, and Visakhapatnam. In order to ensure smooth flow of traffic, many sections on the highways of the Golden Quadrilateral would be extended to six lanes to make it expressways. The NHDP has six phases in total that represents 49,260 kilometre of roads and highways work and construction in order to boost economic development of the country. Another ambitious infrastructure programmer is the planned industrial development project between Delhi to Mumbai that has been conceptualized in partnership and collaboration with the Government of Japan. The Delhi Mumbai Industrial Corridor Project is one of the world’s biggest infrastructure projects with an estimated investment of $90 billion aimed at constructing a hi-tech industrial zone spread across seven states along the 1,500 kilometre long Western Dedicated Freight Corridor which serves as its backbone. The programme will provide a major impetus to planned urbanization in India with manufacturing as the key driver. In addition to new industrial cities, the programmer envisages development of infrastructure linkages like high capacity transportation and logistics facilities. The work is progressing at a rapid pace, with the dedicated freight corridor expected to be completed by December 2019.With such ambitious projects, many completed and more in pipeline, road logistics will surely get a boost. However, growth in road lengths will not be commensurate with the growth in freight and vehicular traffic and therefore, shifting the excessive dependence from road to other modes of transportation is imperative. The burgeoning demand for freight transport led to the conception of the dedicated rail freight corridors along the Eastern and Western Routes in India. Dedicated Freight Corridor Corporation of India Limited (DFCCIL), a government enterprise under the administrative control of the Ministry of Railways, is at present carrying out construction of 3,342 km eastern and western freight corridors for exclusive movement of goods trains. By encouraging users to adopt railways as the most environment friendly mode for their transport requirements, IR is supporting the government’s initiative towards ecological sustainability while guaranteeing efficient, reliable, safe and cheaper options for mobility to its customers. Further to ease the acute pressure, multimodal corridors are being developed that connect highways, railways, airports and ports. Steps in that direction for e.g., a drastic reduction in the number of container trucks on the Bengaluru-Chennai highways was noticed as soon as Container Corporation of India (Concor) introduced Krishnapatnam-Whitefield rail connectivity and started shipping 80 containers a trip in April this year. This meant at least 80 huge trailer trucks that used to ply on the Bengaluru-Chennai highways had now been removed. It was a strategic move made by Concur to beat the burgeoning traffic in Bengaluru as well as the port city of Chennai. Similarly, a 126 kilometre long Virar-Alibaug Multi Modal Corridor is being developed in Maharashtra that will connect national highways and expressways with proposed Navi Mumbai International Airport, JNPT and Dedicated Freight Corridor. This Corridor will carry all the traffic from JNPT to places outside the main city of Mumbai and will reduce traffic congestion. Also most of the containers coming from Gujarat side are coming via city roads, which disturb the city traffic. With Virar-Alibaug corridor in place, all the containers or tractor trailers will be connected directly to the Mumbai Agra road, without touching the city roads. This corridor will bring down the travel time to 50 percent. The share of container traffic is expected to progressively increase and reach a level of about 80 percent by next five years, and the rail traffic is slated to increase to 6.2 million TEUs in 2022 from the current 0.69 million TEUs. JNPT has already taken various ‘ease of doing business’ initiatives to control the congestion which has come down drastically in the last one year. The upcoming 4th Container Terminal, multi-product SEZ and various infrastructure plans would give rise to rise in EXIM trade on JNPT roads, such corridors will bring transport efficiency,” said a JNPT source. However, it is not just the infrastructure but the interplay of infrastructure, technology and pro- trade policies that would eliminate inefficiencies in the sector in a sustainable manner. Today, the UN-organized trucking business in India is getting a tough competition from new age players who are using technology to streamline the segment. Tracking systems enable fleet managers to monitor fuel purchases, vehicle speed, idle time and emissions and thus make changes accordingly in order to achieve optimum results. Real time connectivity while eluding traffic jams and long hauls with the help of GPS and other advanced technologies are helping fleet managers reach their sustainability goals by minimizing fuel and maintenance costs. Also with the implementation of Goods and Services Tax (GST), efficiency in the transportation section is expected to improve manifold besides reduction in the logistics cost. The existing taxation system had forced companies to create and maintain warehouses in each state, which used to make the supply chain longer and largely inefficient. With this complex structure, the logistics industry used to spend nearly 50-60 percent of its time in tax compliance, interstate check points manoeuvring, scrutiny and tracking of interstate sales tax. With the implementation of the new policy, there would be lesser interstate compliance and reduced paper work that will result in faster turnaround time for trucks. With such sea changes in logistics sector, India’s transportation industry will see more consolidation that would sequentially bring revolutionary economic improvements. I distinctly remember that warm afternoon, constant honking of cars, bikes on the road as it was blocked by this truck helping a household move its goods; and the head of that family exchanging heated arguments with the transport in-charge of moving the goods, for reckless handling of their sofa. The person sitting with me (whom I can’t name) had this really peculiar smirk on his face and I could make out, on how he’s thinking that he’s about to change all this. Watching the whole chaos from the third floor, where we were sitting, it was just an idea that was not even on paper – and hardly on a white board. It was back in March this year. We came close to blows discussing the knick-knacks and I am pretty sure if I had the hulk’s hand, might well have shown that. But that’s how it is and it should be; when 6 people come together in creating something that aims to change the way we carry on with our lives, we ought to be thinking about everyone involved; and fight for their point of view and dream of being a hulk that none can harm. The trips we took sitting on the trucks to understand how does the entire industry works at the ground level and how our solution would help marginalize the challenges facing a transporter and a cargo owner are some of the best memories we’d personally cherish for a very long time. They turned out to be one of a kind of a travelogue and beyond enriching. Could never forget that annoying look on the driver’s face when he kept on getting constant calls from his supervisors asking for his location. And how they haggle at check posts and their discussions about movies & actors. The chai at the designated, per-decided points, the dhabhas, the retro music, their loud cacophony singing, at times cooking and having hot chapattis with the onion and chillies by the roadside, the bathing session by the rivulet told us many things that we otherwise would have simply ignored. (And yes, while we have the collared jobs, we did not know the nuances right from day one. But we have learnt and boy, what a learning that has been! Years of research, slow and pain staking progress and countless, long nights later we are at the brink of launching something that we believe will deliver value and will help lower the barrier that otherwise is rampantly high in the logistics and cargo movement business. And no, we are not here to disrupt… We are here to enhance value of all stakeholders in the cargo and shipping business, ease the barrier and grow with our users. Happy ValueShipr! It was 2 AM in the morning when we place the call to Pareshbhai, the driver of this 9 Ton truck on which we wanted to install our GPS device and test. As irony would have it, it was his wife who picked up the phone and told us not to disturb him since he’d just returned from the trip after 8 long days. But my colleague, who we refuse to name, wouldn’t budge. He explained that we all were travelling with Pareshbhai and it is extremely urgent (and that’s how we get work done apparently. At 3:30 AM when we finally reached the point to install the device, the mechanic kept on laughing every sometime. Apparently he used to get tickled every time he touched the ignition wire (yes, earthling issues in the vehicle). But it wasn’t the GPS device getting up and running that we were excited about. The goose bumps came from the fact that Pareshbhai will no longer have to pick up his phone while driving the truck to let his location known. And his customers will know where he is all the time. But the true moment was when his truck broke down with no mechanic or help in sight and he had a broken arm. It was simply amazing to make sure that we rush the help to him with precise co-ordinates. That’s what we believed in right from the beginning and these little joys drive us harder than we practically can; and it’s an amazing ride, totally worth every penny you can count.